In her 23-year-career as America’s most influential national talk-show host, there’s seemingly little that Oprah Winfrey hasn’t shared with her loyal viewers. From weight battles and romantic ups and downs to dark childhood secrets, the 56-year-old Winfrey has earned a reputation for candor about her own life. Speaking with Matt Lauer on TODAY Monday, Kelley said that in researching her book, she was afforded the opportunity to peruse Winfrey’s own 1993 autobiography, a book Oprah ultimately decided not to release — and that in it, she referred to herself as a “prostitute” during her troubled, wild adolescence. “There are so many secrets in her life, secrets about her relationships, secrets within her family,” Kelley told Lauer. “Even when she was writing her own autobiography, and she was finally going to come forward, she described herself as a ‘prostitute,’ which is a rather harsh description, I think. Kelly also said that Winfrey wields such formidable media clout that book companies shied away from signing Kelley to a deal to write the Oprah book — and that now that she has, many TV interviewers are reluctant to have her on to talk about it. Though Kelley has taken a lot of heat over the years for her crash-and-burn reporting style, she told Lauer she put exhaustive research into “Oprah: A Biography.” She said she interviewed some 850 people, including Oprah’s father, Vernon Winfrey, and Oprah’s cousin Katharine Carr Esters, who goes by the nickname “Aunt” Katharine. Among the new stories Kelley reports in the biography is Winfrey’s live-in love affair with former “Entertainment Tonight” anchor John Tesh decades ago. According to a New York Daily News story on Kelley’s book, the pair struck up a relationship while working together in the 1970s at WTVF-TV in Nashville, Tenn. Among other sensitive topics Kelley’s book delves into are Winfrey’s often-complicated relationship with longtime boyfriend Stedman Graham; allegations of drug use early in her career; conflicted relationships with family members; her weight struggles; her opulent lifestyle, and her love of lavishing expensive gifts on her loved ones. Kelley told Lauer that she herself found herself drawn into a web of secrets. She talked of her interview with Aunt Katherine, who claims that Vernon Winfrey is not Oprah’s biological father. Kelley told Lauer she is proud that she got most of her sources to go on the record — the exceptions being current and past employees, who sign confidentiality agreements with her. But her most important source, Kelley told Lauer, was Oprah herself, even though she declined repeated requests to be interviewed for the book. While the book, like Kelley’s previous tell-alls, contains stories in a less than flattering light, Kelley made it clear she’s an Oprah admirer. Kelley talked about interviewing Vernon and quizzing him about the reasons for his daughter’s outrageous success and the personal fortune that came with it. 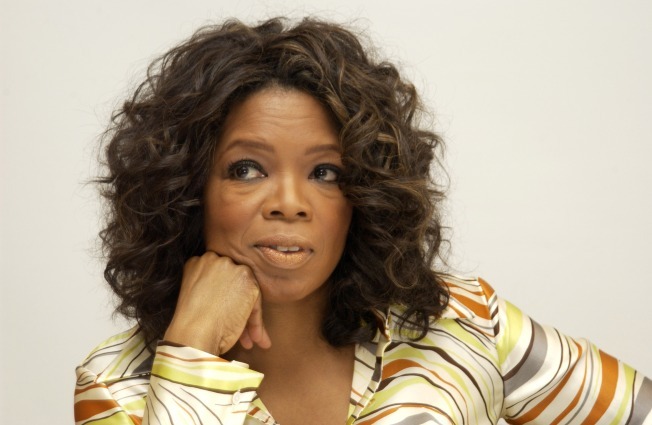 “Oprah: The Biography” hits bookstores on Tuesday, and already looks like a best-seller. It ranked No. 19 on Amazon.com’s list of best-sellers, based on pre-orders alone.